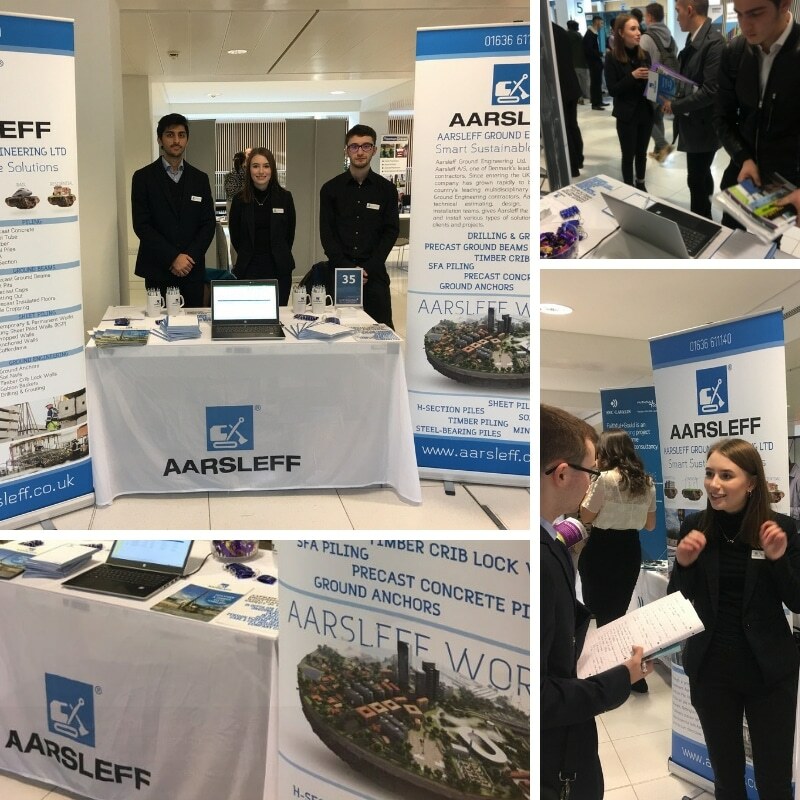 Aarsleff Ground Engineering had an exciting day speaking to students at the well-attended Nottingham Trent University (NTU) Property, Design and Management Careers Fair on the 31st October. Thank you to everyone who came and spoke to us. 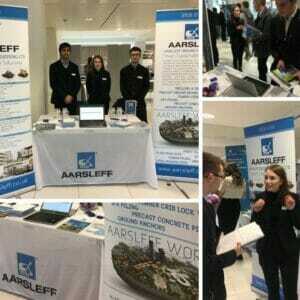 We met a lot of great candidates throughout the day who all showed a keen interest in Civil Engineering, Quantity Surveying, and Construction Management opportunities at Aarsleff. “Yet again, another great careers fair delivered by NTU. Reception was good last year but yesterday’s event really takes the crown. The students were polite, engaged, friendly, prepared and forthcoming. It was quite clear to me that students had done a lot more company research and had questions in mind which was really great to see”. Students and graduates had the opportunity to meet with Aarsleff team members and find out more about Aarsleff’s Graduate scheme and placement opportunities, all with the aim to enhance their employability ensuring they leave Nottingham Trent University ready for the world of work. We look forward to working with some of those bright stars in the near future!